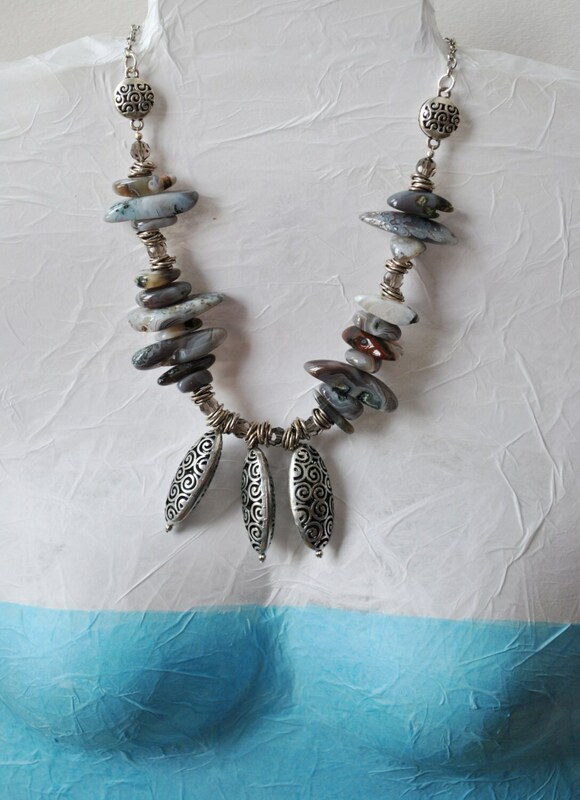 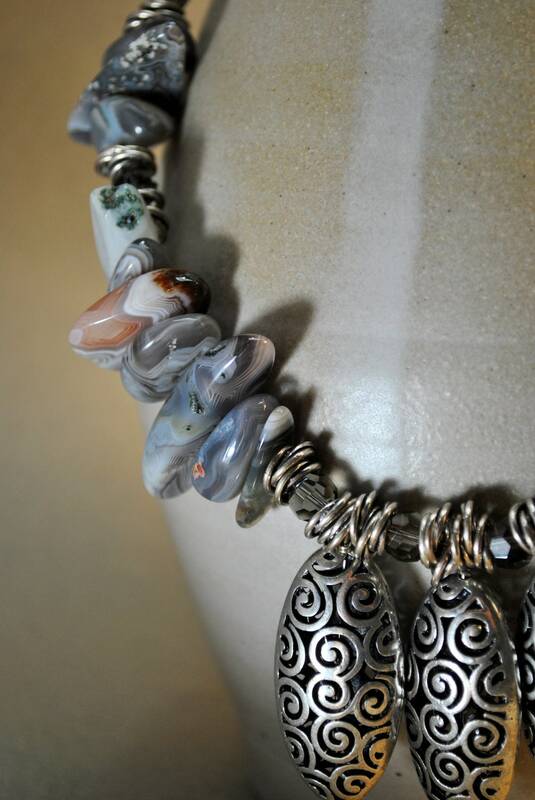 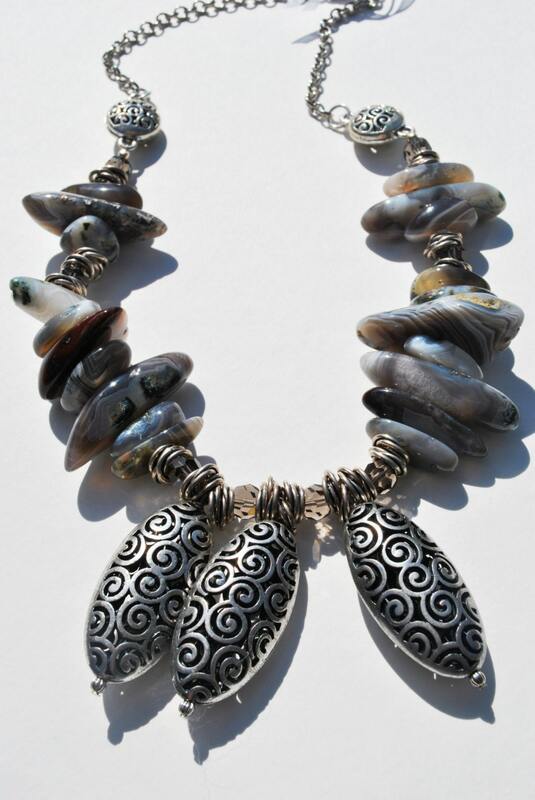 Beautifully marked gray Botswana Agate nuggets mix with three carved silver tone focal pieces, chain and silver tone circles in this statement necklace. 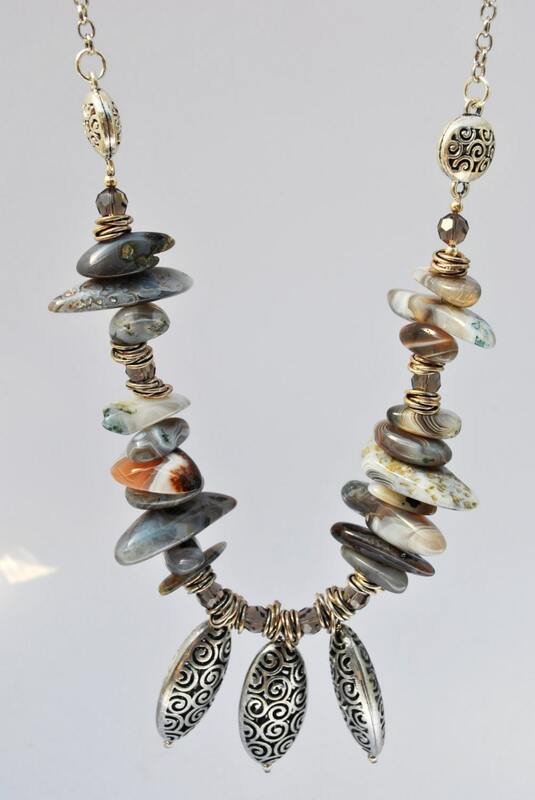 You will love the statement that you make! 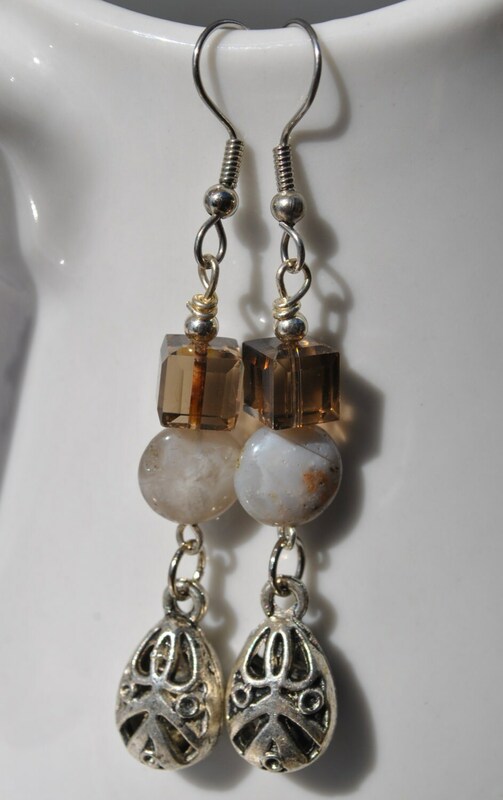 Sterling silver ear wires may be substituted for $3.00 Purchase them from the sterling silver ear wires section in my shop and I will assemble for you before I ship.